Last week I travelled to India to see first hand some of the exciting events and activities taking place as part of the UK India Year of Culture that runs until next April. 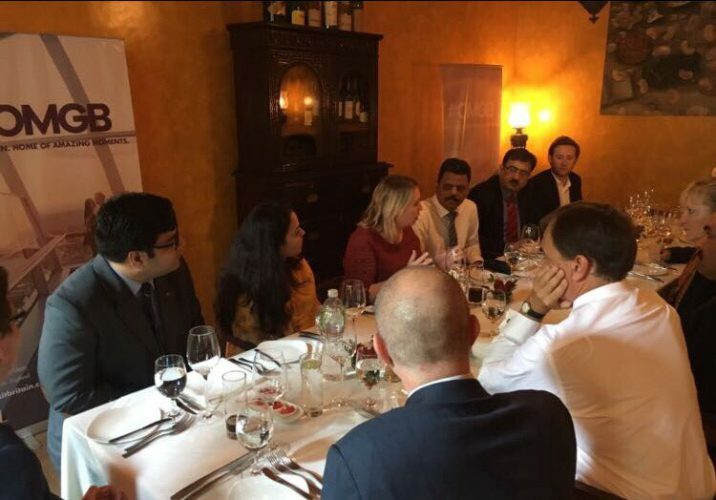 As well as learning more about the cultural aspects of the UK’s evolving relationship with India during my stay, I also exchanged experiences of growing a digital economy that’s fit for the future and saw the fantastic work Premier Skills is doing in empowering young women and girls to challenge gender stereotypes and grow their confidence. My visit began in Bangalore, the tech hub of India. The city’s vibrant startup community, combined with a well established IT sector, illustrate the rate at which its citizens are creating and embracing new technologies – with over 400,000 startups helping to grow their economy. Bangalore employs over a third of India’s IT professionals, and has been rated as one of the best places in the world to start your own company. This is particularly evident in the development of financial technology (‘Fintech’), with new apps and online services helping to address some of the issues the country faces with a population of more than one billion people. I was particularly impressed with the way Indian tech firms are leading and supporting the country’s digital identity scheme, Aadhaar. Their approach has kept the system simple and established a unique environment for innovative companies to develop around the Aadhaar scheme. Over 1.2 billion people are now enrolled in the voluntary Aadhaar scheme, which verifies identity using biometric data. Coupled with the technology developed by the IDFC bank in Mumbai, this will allow many people in rural areas to take out loans, pay money wirelessly and most importantly, open a bank account for the first time. 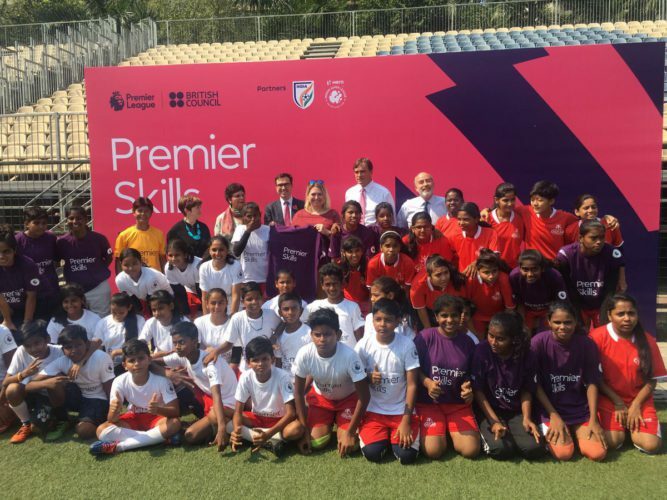 From Bangalore, I moved on to Mumbai to see a session of the Premier League’s Premier Skills programme in full swing, with children participating in a project that brings the benefits of exercise and education to those who might ordinarily be excluded, including young girls. One young girl told me that the programme had allowed her to feel confident enough to challenge the assumption that she would be married at 12 and have her education stopped. I’m delighted that we’re sharing our talent and knowledge in these areas and supporting programmes that really make a difference to young people’s lives. I was privileged to open the India and the World British Museum Exhibition at CSMVS Mumbai. The exhibition features over 100 objects loaned from the British Museum, and many more from other institutions around India – serving as a brilliant example of how our world-leading cultural institutions share best practice and work collaboratively with their counterparts in other countries. This is, in fact, a pioneering model of curating exhibitions that demonstrates the strong personal links between the UK and India. The trip was truly inspiring and I look forward to building on the firm foundations laid during my visit. Being confident about what we’re good at, as well as being open to learn from others, will be vital as we leave the EU and continue to build a Global Britain – winning contracts, generating wealth and creating jobs.